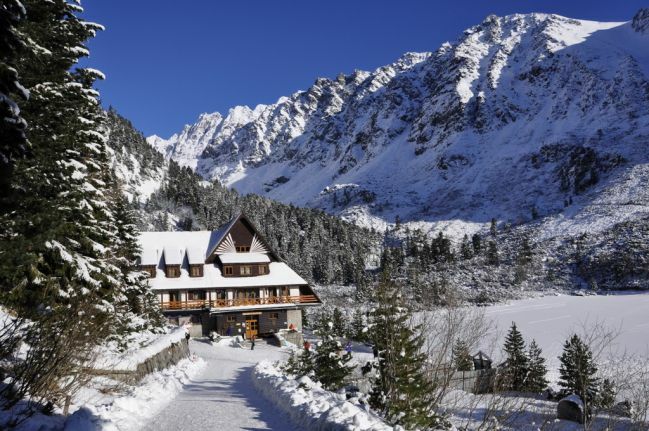 Spend an unforgettable winter holiday in the Tatras, with piles of mountain experiences! Enjoy the greatest winter attractions with a ski pass valid in the whole High Tatras and a regional card Tatry Card. 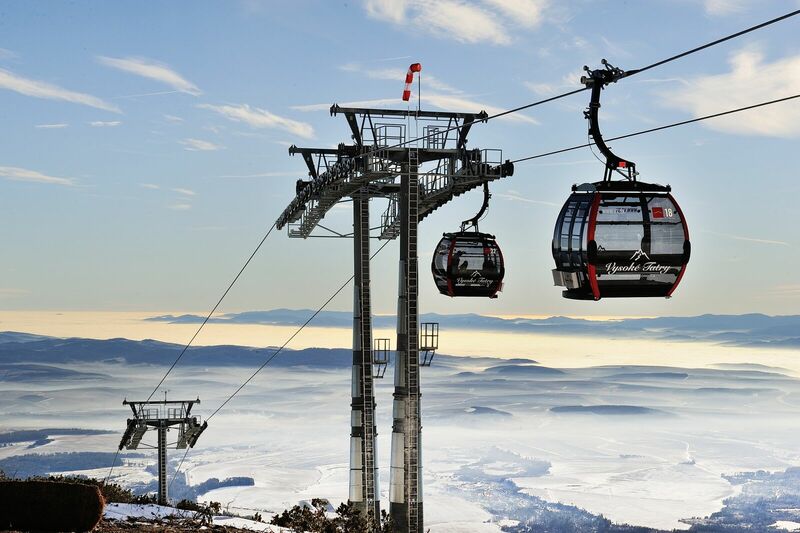 Ski in the Tatras with better services and more fun! The ski resorts of Tatranská Lomnica, Starý Smokovec and Štrbské Pleso offer top-quality skiing on 24 km of slopes. Enjoy 13 km of blue – easy slopes with your family, 10 km of red – more difficult slopes or the highest located 1.2 km-long black track from Lomnické sedlo (saddle) to Skalnaté Pleso. 20 km of slopes with man-made snow guarantee 5 months of skiing per year. The area of Štrbské Pleso offers several tracks with various levels of difficulty and the total length of 25 km. There are some in Tatranská Lomnica, Starý Smokovec and in the foothills too. 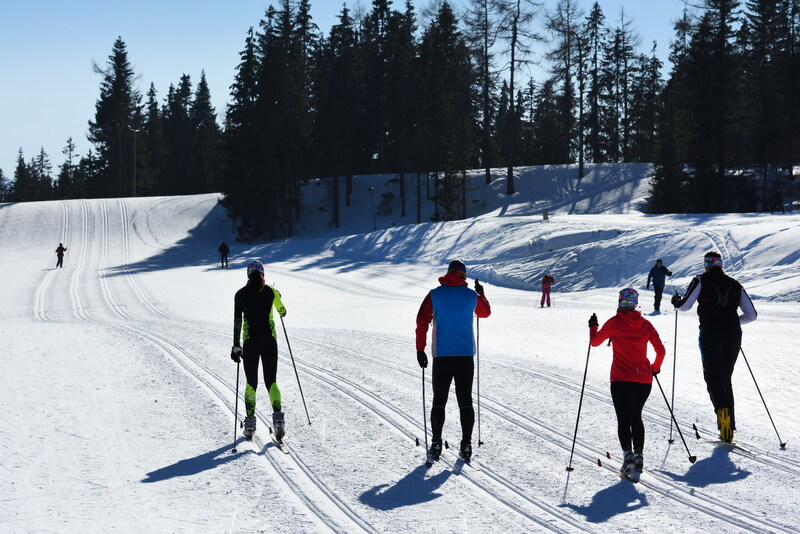 The Black Stork golf course in Veľká Lomnica gets changed to a complex of cross-country skiing tracks with the total length of 10 km in winter. Beautiful views of snow-covered Tatra mountains attract tourists in winter too. There are tourist trails to 12 alpine chalets opened for hiking. The second highest peak – Mt. Lomnický štít, the popular area of Hrebienok and the well-known Mt. Solisko are accessible with comfortable cableways. Day and night sledging from Hrebienok down to Starý Smokovec along a 2.5 km-long groomed and lit track is one of the most popular and amusing activities in the High Tatras. 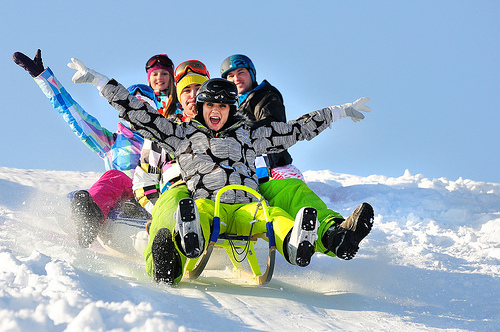 Enjoy an adventurous and freezing ride! 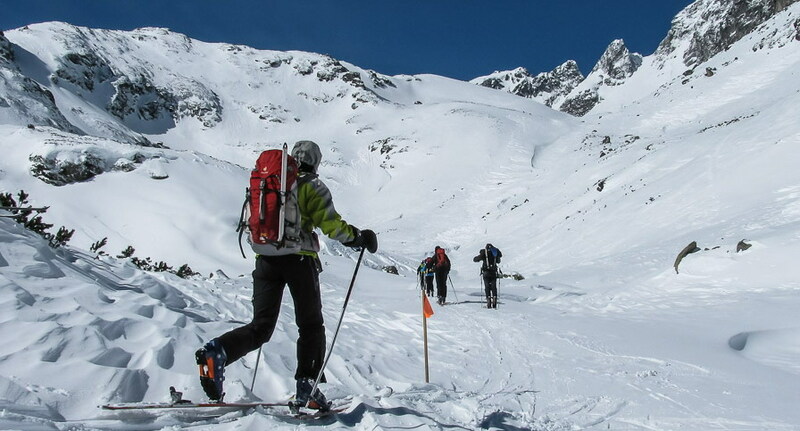 Enjoy the best moments with professional teams of instructors – try walking with snowshoes or ski touring. 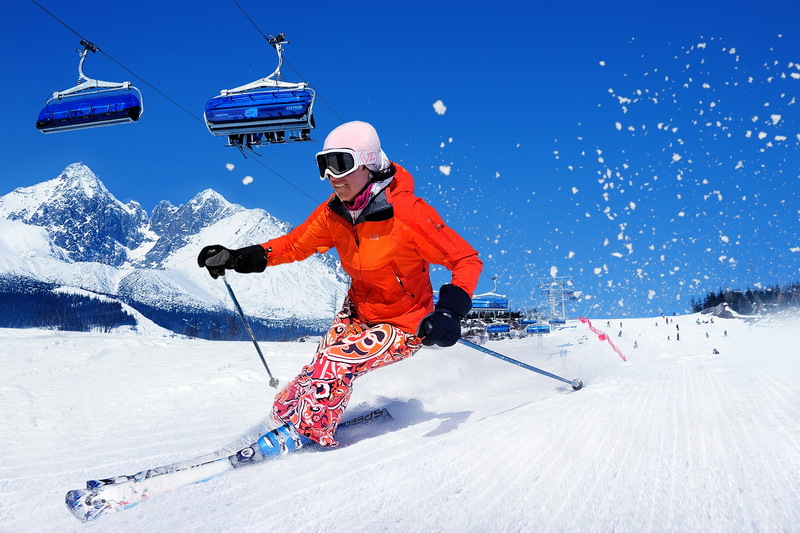 The ski resorts in the High Tatras offer popular products such as a rich daily aprés-ski programme, a Fun zone, a snow park and much more. Make your holiday even more attractive and visit a unique complex that offers more than just relaxation. Thermal water which rises from the depth of 1,300 m contains over 20 minerals that have beneficial effects for human health. Recharge your batteries in AquaCity Poprad – a modern centre of water fun and wellness relaxation at the foot of the Tatras, which is open all year round. Don´t miss out on a rich dose of events this winter again! The winter season is beginning with the project of the Tatra Temple in the area of Hrebienok. Other traditional events you can look forward to include Tatry Ice Master and Snow Dogs. We look forward to seeing you in the Tatras this winter!